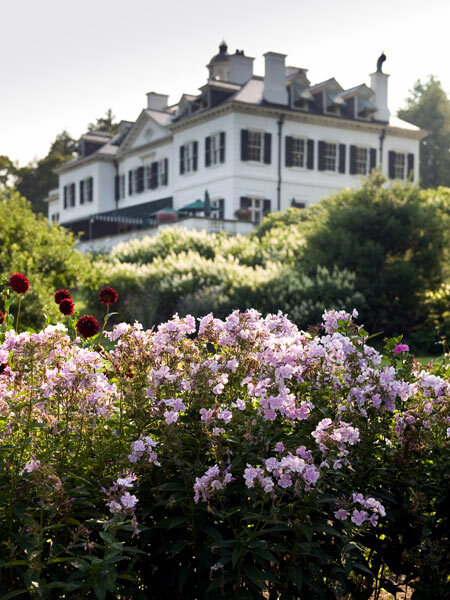 Borrowing the scenery of the central Berkshire Mountains, this 50-acre estate was the seasonal residence of American novelist Edith Wharton from 1902 to 1911. Wharton commissioned architect Francis L.V. 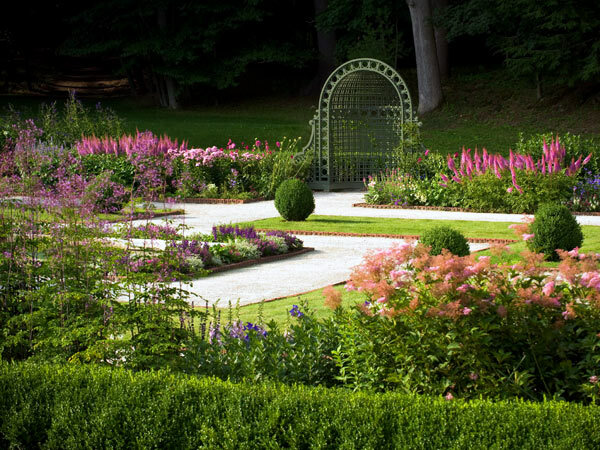 Hoppin to design the Georgian-Revival manor, while Wharton herself designed the formal gardens to the east and south of the house. 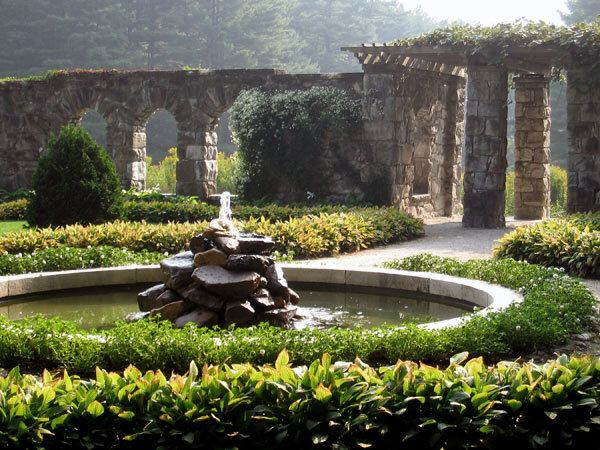 Wharton was a connoisseur of European landscape design and published Italian Villas and Their Gardens in 1904, in which she advocated that gardens should be architectural compositions divided into “rooms.” The estate grounds were conceived as an experiential walk framed by clipped hedges and trees. From the entrance court, a flight of stairs led to the house’s main living spaces, which opened to a terrace offering a grand vista to Laurel Lake and the hills beyond. 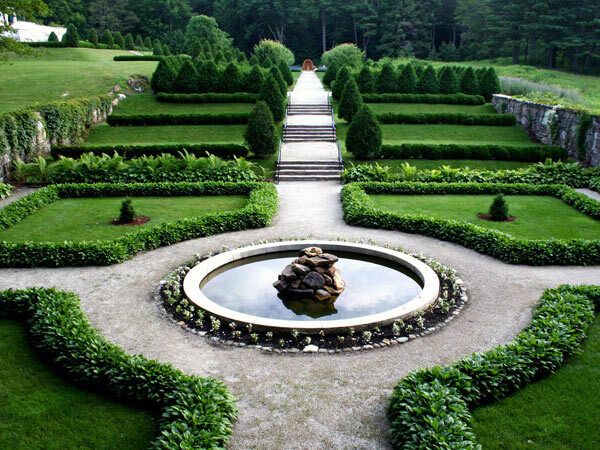 A Palladian stair descended from the terrace and led to an allée of pleached lindens flanked by two formal gardens. 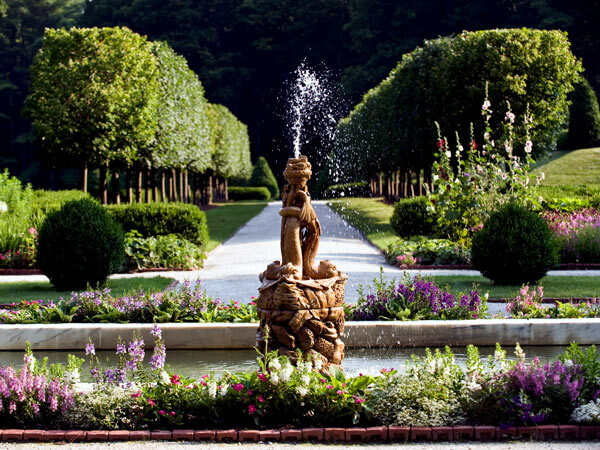 The Italianate walled garden featured walks, a rustic fountain with a lion’s head spout, and a simple planting palette. 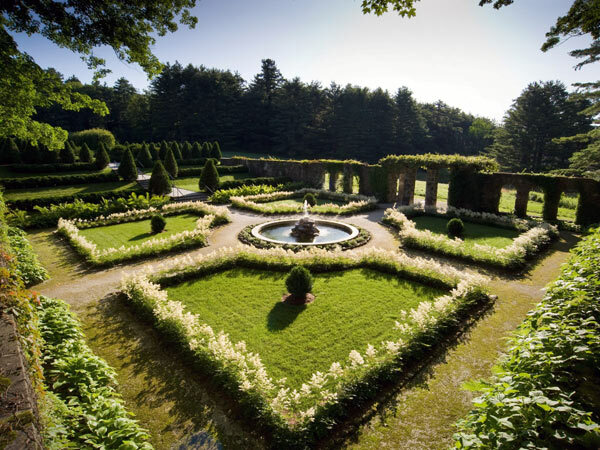 In contrast, the flower garden derived from French and English landscape traditions was planted with petunias, phlox, snapdragons, and hollyhocks and included a dolphin fountain as well as a latticework niche designed by Ogden Codman, Jr. Her alpine rock garden included sweet ferns and grass-covered steps. 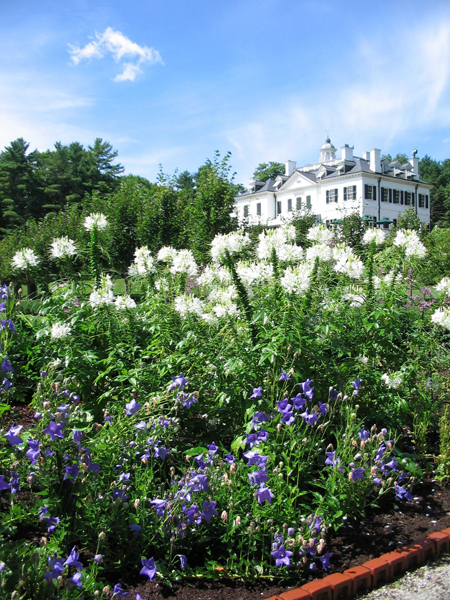 Wharton’s niece, landscape gardener Beatrix Farrand, designed the estate’s kitchen garden and the entrance drive. Starting in 1999, Susan Child of Child Associates led an extensive restoration of the landscape and gardens beginning with the preparation of a Cultural Landscape Report (CLR) with Cynthia Zaitzevesky, development of a design informed by the extensive research of the CLR, documentation of detailed drawings and specifications for implementation of the work, and oversight of construction over several years. The Mount was designated a National Historic Landmark in 1971.